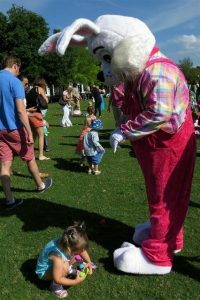 Hire the Easter Bunny for your Easter Egg Hunt or Easter Party. It is spring and Easter planning is in full swing! As you know we have the very best entertainment for Christmas, but you may not know we also book some amazing entertainers throughout the year, clowns, face-painters, balloon artists, etc. 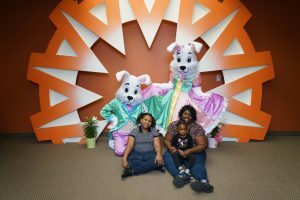 We have open faced and Mascot Easter Bunnies that are the BEST in DFW. 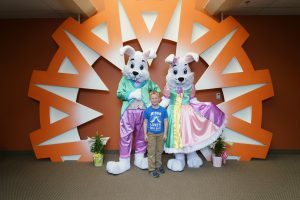 Below are a few pictures and testimonials about our Dallas, Fort Worth Easter Bunny for hire. PLEASE BOOK ASAP as our Easter Bunnies book up EXTREMELY quickly! 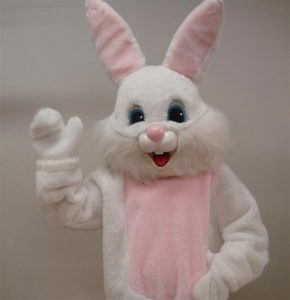 Call 817-601-5666 or email Santa@SantaAllen.com to reserve your professional Easter Bunny entertainer. 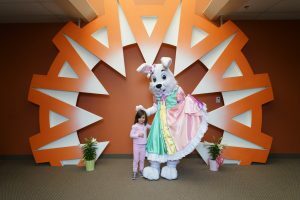 All of our Easter Bunny entertainers are background checked and carry entertainers insurance. We only have professional entertainers, not just a teenager in a old suit. 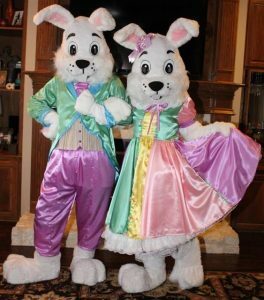 We hand make new outfits for our Easter Bunnies each year to make sure we have the very best for you and your guests. Please fill out the form below or call us at 817-601-5666 to make a reservation. Right now we are busy booking The Easter Bunny and Mother Goose…but not like you have seen before. 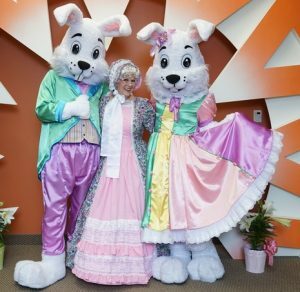 We have an exclusive agreement with what I consider to be the VERY BEST Easter Bunny and Mother Goose (both are professional actors and entertainers!!). 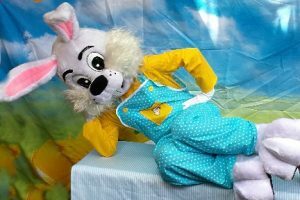 With a custom made Easter Bunny Suit and an open face and lightly made up face (so no scary mascot head), our funny bunny interacts with your children in a playful and realistic way. 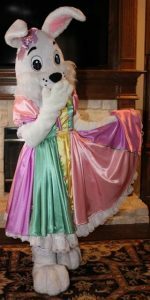 Added to this Mother Goose (a professional singer), will tell stories and help with games and entertainment. 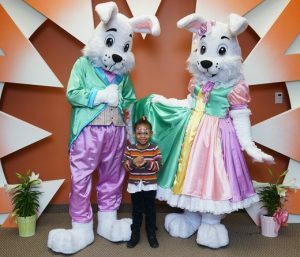 Together they will turn your Easter Event into one that is looked forward to every year. 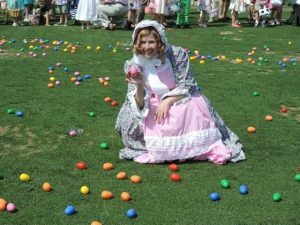 Typical activities include handing out Easter eggs, leading the Easter egg hunt, teaching how to hop like the Easter bunny, singing the Bunny Pokey, and of course pictures. 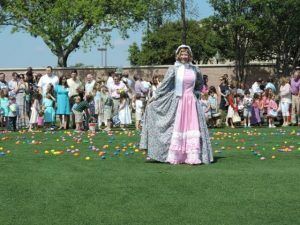 There is no other Easter program like this one! Please email Santa@SantaAllen.com or call me 817-601-5666 to check on availability of this amazing duo. Ask about discounts for weekday appearances. 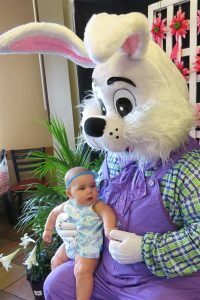 If you are looking for the Best Easter Bunny for Hire in Dallas go to this link.